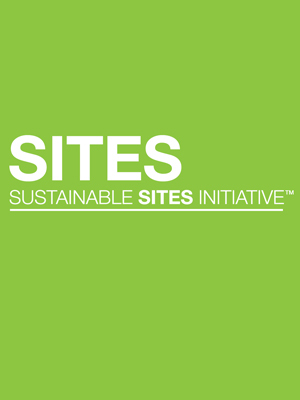 I wanted to forward a brief note of appreciation to the ASLA membership for the support many of you have shown for the petition filed earlier this month to resolve issues regarding ownership of the Sustainable Site Initiative™ (SITES®) trademarks. Although it is unfortunate that ASLA was forced into a position of having to seek legal intervention, it remains our strongest desire to get this resolved so that we can move forward collaboratively with our partners to further SITES’ mission and promise. I also wanted to let you know that we have posted online some Frequently Asked Questions (FAQs). These FAQs provide straight answers to basic questions and hopefully will help avoid misunderstandings and misinformation. If you have additional questions, feel free to send them to info@asla.org. Thank you again for your support. We remain committed to the SITES mission and ensuring that ASLA’s voice is heard in the course of the continued development and enhancement of the project in the future. What actions gave rise to the current dispute? Despite eight-plus years of joint development of SITES and ongoing recognition of SITES as a collaboration of its participants, in June, The Wildflower Center at the University of Texas at Austin (“UT”) took it upon itself to file several SITES trademark applications in its own name. These filings were made without advance notice and over ASLA’s strenuous objections. When asked by ASLA to explain its actions, UT surprisingly claimed – for the very first time – that it is the sole and exclusive owner of the SITES trademarks. Even though all three participants in SITES jointly developed the SITES initiative and created goodwill regarding the SITES trademarks, UT now contends that it alone “first used” the SITES trademarks in commerce, a position that is simply wrong and contrary to historical evidence. In its recent public statement, UT does not mention that it now claims to be the “sole and exclusive owner” of SITES trademarks – can you think of any reason why? The SITES trademarks were developed through a partnership between ASLA, the U.S. Botanic Garden and UT. No one party separately owns the trademarks to the exclusion of the others. UT’s claim that it is the “sole and exclusive owner,” which goes to the very heart of the matter, is indefensible. What efforts were made to resolve the issue through negotiation prior to filing suit? ASLA attempted for more than three months to encourage UT to reconsider its sole and exclusive ownership claim and its improper trademark filings. To that end, ASLA compiled a historical chronology of public announcements, marketing materials and other documentation showing that all SITES intellectual property was first used by SITES (not UT, independently) and that all SITES-related intellectual property belongs to SITES, and not any one participant. UT refused to reconsider its position or meaningfully respond to the information provided by ASLA. ASLA disagrees with UT’s recent statement that it has “actively sought to resolve this matter.” Nonetheless, on October 21, ASLA reached out to UT yet again suggesting mediation. What steps were taken by ASLA to understand its options? ASLA reviewed the history of the SITES initiative, exhausted negotiations with UT, consulted with trademark experts to understand its options, and weighed the relative advantages and disadvantages of filing suit on behalf of the partnership to protect the trademarks. In the end, the ASLA Board of Trustees, acting on the advice and guidance of legal counsel, gave its unanimous consent and approval to the filing of the Petition. What does the Petition ask the court to do? Consistent with the history of collaborative effort of the SITES participants and joint ownership of all resulting intellectual property, the Petition simply asks the court to issue a declaratory ruling that SITES (not UT, individually) owns the trademarks, and order UT to withdraw the trademark applications that were improperly filed. Is UT correct that simply giving ASLA a license to use the trademarks is effectively the same as joint ownership? No. ASLA has thoroughly consulted with trademark counsel on this point. Ownership of intellectual property is much different than rights under a license for a number of reasons. For example, by granting a license to ASLA, both UT and ASLA would have the right to use the SITES trademarks but, if their use of the marks diverge (e.g., by the adoption of different standards), the trademarks could be severely weakened or lost entirely. In addition, ASLA would not have influcence over how the marks are used by UT or what licenses UT might grant in the future which, again, could significantly damage the marks. Also, because a license is only a contractual right, it could potentially be subject to termination leaving ASLA with no right to use the marks at all. There are other reasons as well, but suffice it to say that ownership of the trademarks collectively by all three participants is much different, and much more desirable to all concerned, than the limited right to use the trademarks as a licensee. In short, it is critical that ASLA retain co-ownership of SITES trademarks and other intellectual property in order to ensure that ASLA is able to continue to bring the voice of the profession to guide SITES’ future development. It should be noted that UT itself refused to accept the role of licensee. From the outset, ASLA has advocated that the trademark applications be filed in the name of the parties, jointly. UT opposed this, instead demanding that the applications be filed solely in its own name, with a license being granted to ASLA. When, simply for the sake of highlighting the point, ASLA suggested the opposite – that the applications be filed solely in ASLA’s name, with a license granted to UT – UT refused. Moreover, UT’s discussion of a license diverts attention from the central problem – UT’s claim of sole ownership of property that was developed collaboratively and rightly belongs to SITES and its participants. This is the core issue that UT apparently does not wish to address. UT’s recent actions are not only fundamentally inconsistent with the basic tenants of trademark law, they do not promote a collaborative and productive working relationship. Where can I get more information about this case? The facts of this case are concisely presented in the Petition that was filed on ASLA’s behalf. You are encouraged to read the Petition and send any additional questions to info@asla.org. What about the future of SITES? ASLA remains fully committed to SITES and the advancement of the project in partnership with UT and the U.S. Botanic Garden. ASLA’s preference has been and remains to resolve the dispute informally and quickly. We are confident that we will get past this issue. In the meantime, ASLA will continue to do all it can to further the SITES mission and to minimize any impact that the court proceeding might otherwise have on the SITES project. See ASLA’s statement and petition. It seems strange that this detail was unattended for so many years. Why is that? Surely the entities would have consulted legal counsel at the outset.